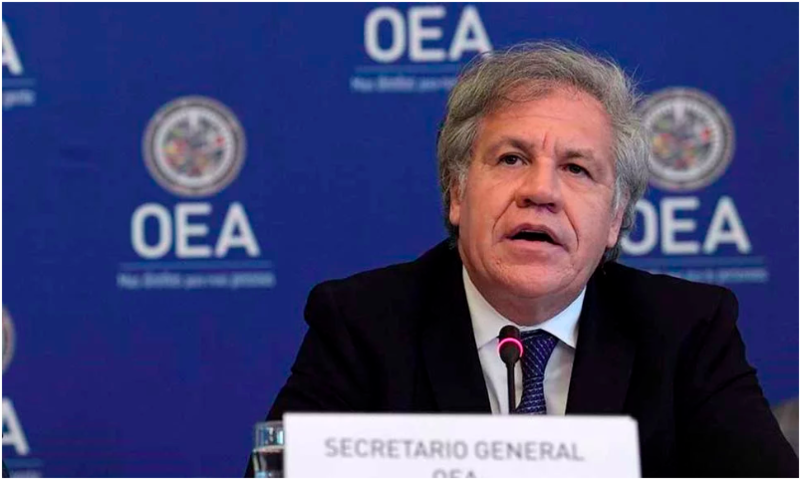 Repeated attacks against Venezuela and supporting a military intervention in the country, have led to the expulsion of Luis Almagro, the secretary general of the OAS from the Frente Amplio. Frente Amplio (FA) [Broad Front], a Uruguayan left-wing coalition of political parties, held a plenary on Saturday December 15 and unanimously expelled Luis Almagro, the secretary general of the Organization of American States (OAS) from the position he held in FA. He has been expelled for his behavior as head of the international organization, his permanent aggression against Venezuelan government and his support for a military intervention in Venezuela. José Carlos Mahía, the vice-president of FA, broke this news and said that “Almagro was only expelled from the Frente Amplio because he agreed to have the support of FA and the government with a management profile diametrically opposed to the one he plays today in the OAS”. “It is one thing to have a political position on the situation in Venezuela or other countries in Latin America, and a very different one is, from a position that should generate consensus in the Americas, militating actively against one of the countries and, in addition, with visions absolutely functional to those of the United States itself and in which there was even sympathy for an eventual invasion”, said the vice-president while further clarifying the stance of the FA. In the month of September, after his visit to Colombia, Almagro said that “we should not be ruled out any option” referring to a military intervention “to overthrow the regime of Nicolás Maduro” considering the crisis in the Bolivarian country. His statements received huge criticism and earned him a penalty from the Court of Political Conduct of FA. The Bolivian president Evo Morales, the Bolivarian Alliance for the People of Our America-Peoples’ Trade Treaty (ALBA-TCP) and 11 of the 14 member countries of the Lima Group, a group of conservative Latin American countries also rejected and condemned his statements.